Marvel Super Heroes is a role playing game set in the Marvel Universe, first published by TSR as Marvel Super Heroes: The Heroic Role-Playing Game under license from Marvel Comics in 1984. 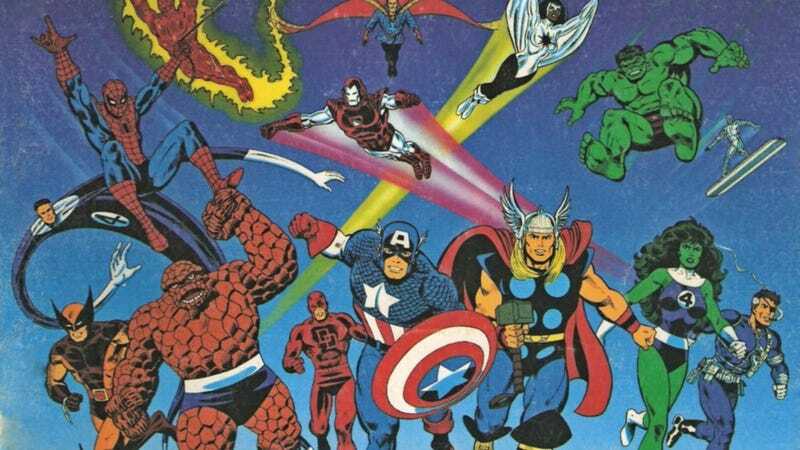 In 1986, TSR published an expanded edition, entitled the Marvel Superheroes Advanced Game. So here is some resources that are keeping the game alive to this very day! http://Classicfaserip.com - A podcast that comes out once a month, talking about the game, and exploring things along the way. http://classicmarvelforever.com - a old style forum environment that people chat about the game on a semi-daily basis. The website itself has all the books for free to download, so if you want to try it before you go buying it, go there. https://www.facebook.com/groups/MSHUCP/ - Want to see new material? Head on over to this facebook group as these folks are actively producing new material for the FASERIP game each month. https://itunes.apple.com/us/podcast/marvels-x-universe/id1312898681 - Want to listen in on how the game is played? Listen to this actual play podcast! https://www.youtube.com/playlist?list=PLfyjs6QM2oyZfOG_OJq8wA03bFVgFI86e - Want to really dive deep into the game, well listen in as Professor Bill of Comic Book University breaks down the game and really goes under the hood for some solid lessons on how the game works!